Come visit Lone Star Service in Citrus Heights! We are proud to specialize in Auto Repair. As the premier auto repair shop in Citrus Heights, our ASE Master Technicians take great pride in supplying: Engine Repair, Brake Repair, Transmission Repair, and Auto Electrical Service. Each of our reliable specialists undergo extensive automotive repair training to meet all your auto repair needs. The maintenance experts of Lone Star Service have been honored to serve Citrus Heights for the past 66 years. While we focus on Auto Repair, Engine Repair, Brake Repair, Transmission Repair and Auto Electrical Service, we also provide a long range of other auto repair services listed on our services page. Our auto repair experts have built our reputation by providing consistently superior service here in Citrus Heights, operating with the same owner since 1994. "Jay was able to fit my vehicle in the same.."
"Lone star is the best! You can trust the work.."
"It is the best and has been for many years..."
"It's great and trustful, I'm happy with the service what.."
"I've taken my cars to Jay for years and have.."
"I would tell them that jay a very good.."
"We are very happy with the work Jay does on.."
"Honest and trustworthy. Fast, accurate work. 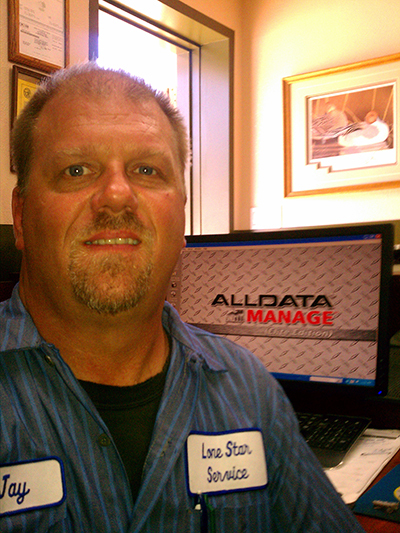 .."
"It's excellent, both in service and letting me know what.."
"I have known Jay for many years. He has.."
"i highly recommend the expertise, honesty and ability that Jay.."
"I would tell them that Lone Star Service's quality of.."
"I have been frequenting Lone Star Service for more than.."
"I would highly recommend Lone Star Service. We have been.."
"Anyone looking for a quality auto repair shop will find.."
"Great service! Always explains and even will show you what.."
"THEY PROVIDE EXCELLENT WORK AND SERVICE - AND I WOULD.."
"Best and honest mechanic/owner! Takes care of you. Family has.."
"I would recommend Jay at Lone star, and I have..."
"I found this mechanic shop by driving by. Stopped in.."
"Jay is a good guy who does good and honest.."
"My uncle took his cars to Lonestar when Jay's father.."
"Outstanding service by Jay a top notch mechanic that is.."
"There is no need to go to another auto service.."
"Lone Star Service is the place to go for auto.."
"Dependable, accurate, shares all that you want to know about.."